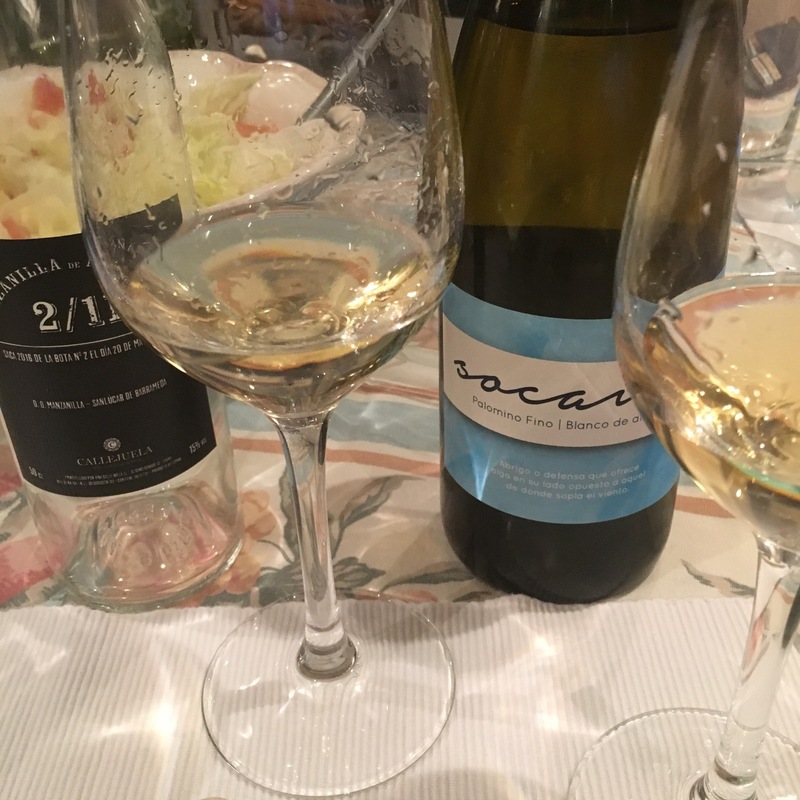 Interesting contrast here between two wines that are both 100% palomino fino and have both spent time in bota but with and without flor, respectively. (They are also from opposite ends of the Marco de Jerez.) What I find interesting is the fact that what I recognize as the wood influence of the barrel is much more marked in the Socaire – which has spent two years in an old fino bota – than in the Manzanilla de Añada – which has spent nearly four. It is something that has intrigued me ever since I started thinking about these wines: trying to get a handle on the importance of the barrels used. One of the first things a winemaker will tell you about their wines is how much oak it has had, where the oak was from and whether it was old or new. This conversation just never happens in relation to sherry. Maybe because of the historic nature of many soleras and the very limited number of vintage wines: even the new soleras that appear tendo to inherit barrels from old ones, while the vintage wines I know of, from memory, appear to be aged in old botas. It would be fascinating to try something made in a new barrel, or maybe to make some wine in new american and french oak and give them a run against the oldies. Who knows maybe there is a stack of literature out there that I am not aware of – if so give me a shout.